AccessOC is proud to announce that 2017 marks its 10th Year Anniversary of partnership with St Jude Medical Center! On April 29, 2017, during its 9th Surgery Day, AccessOC and St Jude Medical Center were able to help 18 patients in need of specialty medical attention. With a team of about 100 doctors and volunteers, the clinical team was able to perform 4 Cholecystectomy surgeries, 5 hernia repairs, 2 vein strippings, 5 pterygium removals, 2 tonsillectomies and a carpal tunnel surgery. 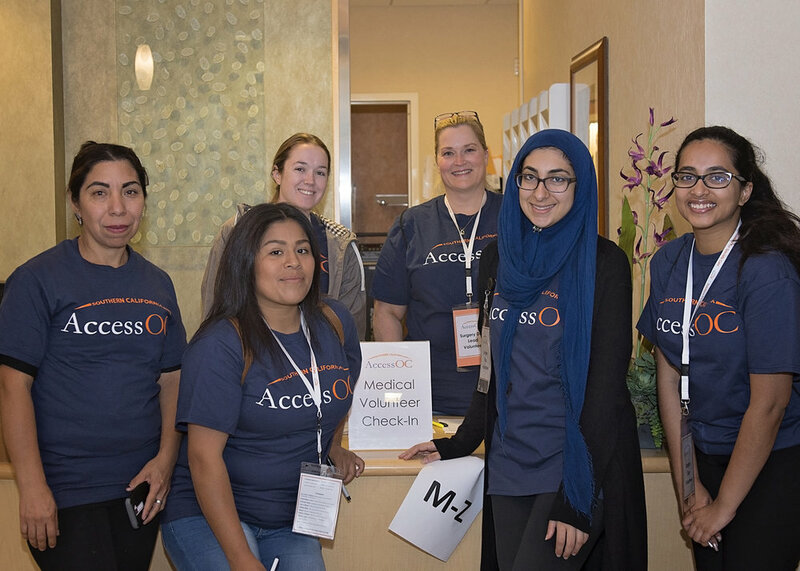 AccessOC would like to thank St Jude Medical Center and their staff, Claudette Tan Photography and Rich Lasalle Photography for capturing the event, and Yum Yum donuts for donating donuts for volunteers and family. Surgery Days would not be possible without all of the volunteer efforts and donations!